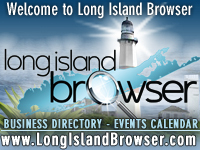 Long Island political events including political party assemblies, political conferences, political debates, political elections, award dinner ceremonies for politicians of the democratic and republican parties of Long Island, New York and political lectures at Long Island universities. The Great South Bay Republican Club Annual 2019 Spring Brunch at Pine Grove Inn in Medford, Suffolk County, Long Island, New York. Tags: Long Island political events, Long Island diplomatic events, politics on Long Island New York, democratic party, republican party, political party assemblies, political conferences, political debates, political elections, award dinner ceremonies for politicians, political lectures at Long Island universities.